Phang Nga is located in the scenic southern region of Thailand near Phuket which is a popular tourist destination, known the world over. It's known for its stunning beaches, exciting and fascinating cultural attractions. Phang Nga Province has plenty to offer visitors in its own right, and If you want to enjoy the best of beautiful Thailand, these ten reasons should help you decide on your next holiday destination. It would be the understatement of the century to say that the Phang Nga Province is rich in natural beauty. The region is chock-full of mountains that are cloaked by jungles, seemingly endless vibrant reefs and rivers that travel all the way to sparkling bays which offer gorgeous limestone karsts. If pristine pale beaches and natural wonders is your ideal mix, then you can't go wrong in Phang Nga, which makes an ideal Thailand destination for nature lovers of all varieties. Phang Nga Bay is without a doubt a must-see for anyone who visits the province. This bay is known for its lively waters and aforementioned limestone karsts. 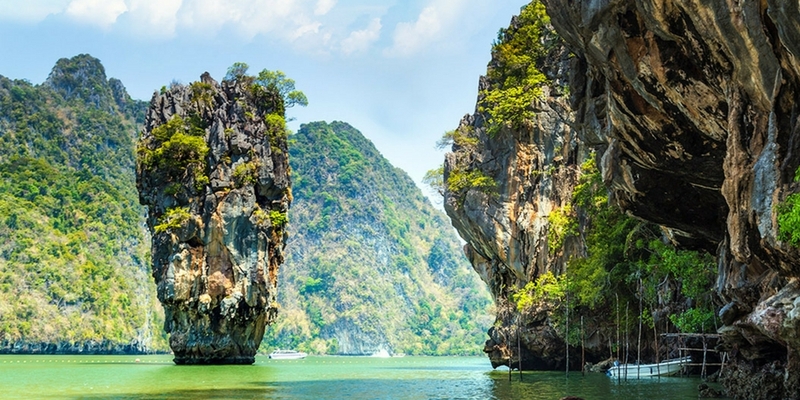 If you want to have the time of your life at Phang Nga Bay, be sure to stop by Koh Panyee and James Bond Island. These are both particularly well-known spots for visitors made famous by, James Bond of course. This lovely bay offers you the quintessential beach relaxation experience. Phang Nga isn't just about nature and breathtaking beaches, it's also full of its own culture and history, starting with the The Tsunami Memorial Park in Hat Khao Lak that acknowledges all of the individuals who passed away during the natural disaster of 2004. The Indian Ocean tsunami was among the most devastating natural disasters of all time. 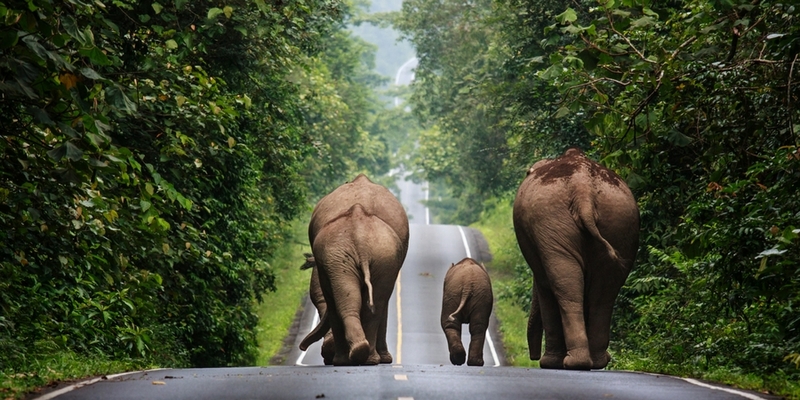 If you're a fan of national parks and all they can offer you, you'll never want for anything while in the Phang Nga. The province offers a wealth of lovely and serene national parks available to visitors. 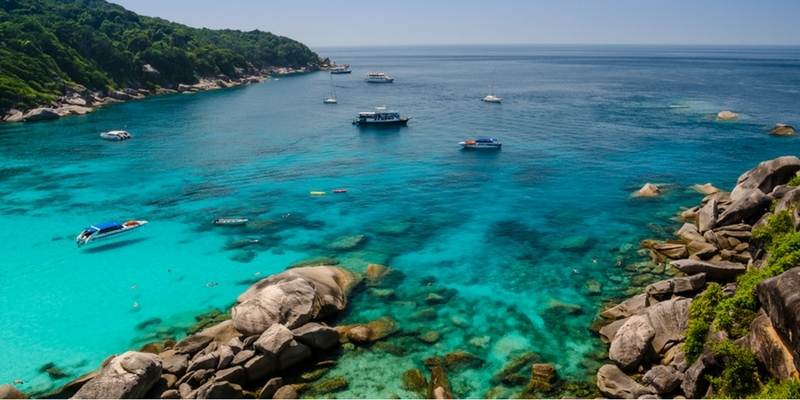 Examples of these are the Similan Islands Marine National Park, Khao Lak/Lam Ru National Park and the Ao Phang-Nga National Park. There are numerous others beyond those, too. These parks can be perfect for visitors who appreciate coral reefs, majestic beaches and diverse wildlife such as Bengal monitor lizards. 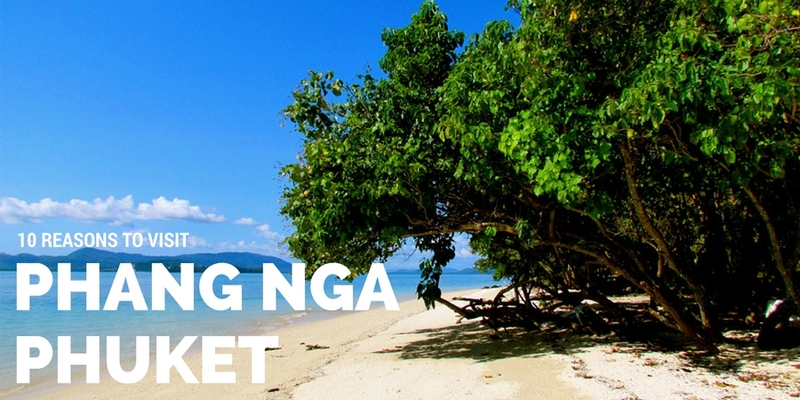 If you have a penchant for thrilling outdoor activities, you'll have the time of your life in the province. People who visit Phang Nga Province can enjoy hiking, snorkeling, swimming, motorbiking, boating and so much more. If you're the kind of person who rarely if ever likes to sit still and take it easy, a visit to the Phang Nga Province is undoubtedly calling your name. Phang Nga offers a range comfortable, convenient and pleasant holiday accommodation and the area is well known for its gorgeous beachfront resorts that are the epitome of high-end leisure. There is a range of other accommodation options available to visitors to suit all budgets and experience. Ao Phang Nga National Park is in many ways the gem of the province. If you visit the province, this marvelous bay should probably be one of your first stops. You'll be happy to discover that entry to the park wont cost you an arm and a leg, with to the park a reasonable 200 baht. That's all it costs to enjoy the beauty of jaw-dropping limestone formations. People frequently use kayaks to navigate the sizable park. If you have a true fondness for courteous, warm and accommodating people, you'll have a blast at Phang Nga Bay. You'll have a blast in the Phang Nga Province in general. The people who live in this area are extremely pleasant and warm individuals offering a true example of classic Thai courtesy. There are many amazing restaurants located all throughout the region. If you want to purchase quick and affordable eats by Phang Nga Bay, you will have a wonderful range of options offering exciting and interesting flavors of genuine Thai cuisine. Seafood restaurants are particularly easy to find. If you want to temporarily escape from the pressures and stresses of your modern existence, there's probably no better place on this planet than Phang Nga. The bay can help melt all of your anxieties and nerves away. A trip to the bay and to the province in general is nothing like visiting big city Bangkok.If you want to get caught up in natural splendor, amazing Thai fare, adventurous recreation and beyond should all take the time to learn more about this wondrous Southeastern Asian getaway choice. It definitely doesn't disappoint.